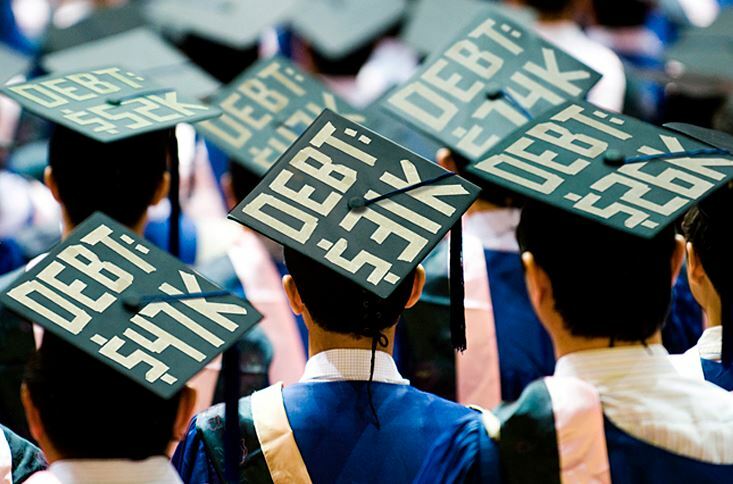 Home / Blog / Funding / Expensive Education: Student Loan Repayment Options. Expensive Education: Student Loan Repayment Options. Many people with high levels of student debt need to consider several loan repayment options, including filing for bankruptcy, only to be told that student loans are nondischargeable. While it is true that discharging student loan balances and bankruptcy can be difficult, it is not impossible, in the bankruptcy process may still offer some benefits to the borrower. Most types of debt can be discharged in consumer bankruptcy. There are, however, some exceptions, including child support and court judgments resulting from an accident caused by drunk driving. There are also types of debts that are harder to discharge: There are special rules about discharging tax debt, and the same is also true for student loans. Convincing a court to discharge her student loan debt requires proving that paying this debt would result in “undue hardship.” This means that you’ll have to show that paying your student loans will make it impossible for you to afford basic living expenses. In addition, you also have to show that it is unlikely that your financial situation is going to change and that you have already made a good-faith effort at loan repayment. While most people cannot meet these qualifications, the courts have demonstrated a willingness to consider a range of circumstances when determining whether student debt is an undue burden. If you are unable to prove undue hardship, you may still be able to benefit from bankruptcy. The automatic stay on collection activity will be in effect for the duration of your bankruptcy proceedings, giving you a breather from collection calls, bank levies, and payroll garnishment. The other benefits depend on the type of bankruptcy you file for. In a Chapter 7 bankruptcy, your other debts are discharged. Since you won’t be making payments on them anymore, you’ll have more cash available to apply toward your student loan balances. If you’ve filed for Chapter 13, your loans will become a part of your debt plan, which may mean that you’ll pay less on them during the repayment process. Student loan repayment and debt may be discouraging, but there are options. Student loan lenders and services are often willing to work with you to come up with a repayment plan that you can afford.